Common, T Bone Burnett and Snoop Dogg are among the nominees for the 69th Emmy Awards. 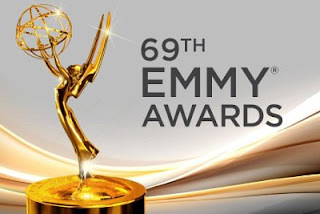 Announced on Thursday (July 13), the nominations span every aspect of television in broadcast, cable, streaming and on-line arenas and cutting across every craft from directing to hair styling. Common, Robert Glasper and Karriem Riggins were nominated for Outstanding Original Music & Lyrics for the song Letter to the Free from the program 13th while T-Bone Burnett and Jack White are up for Outstanding Music Direction for American Epic. In a surprise, Snoop Dogg was nominated for Outstanding Host For a Reality or Reality-Competition Program, along with co-host Martha Stewart, for their Martha & Snoop's Potluck Dinner Party. Among music-based programs, The Voice led the way with eight nominations followed by Hairspray Live with 7, Super Bowl LI Halftime Show Starring Lady Gaga with six and The Beatles: Eight Days a Week: The Touring Years with five.